Dr. Luke T.P. Vetti received his doctorate in podiatric medicine from Temple University in 2012, where he earned multiple awards for academic performance and clinical research. 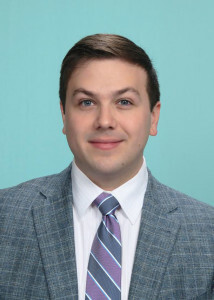 He completed a 3-year hospital based interdisciplinary residency in podiatric surgery and medicine at the Crozer Keystone and Mercy Health Systems Delaware County, PA and Philadelphia, PA. He has also earned degrees from the University of Richmond and Virginia Commonwealth University. He joined the team of SynergyHealth Foot & Ankle with special interest in the treatment of foot and ankle injuries and deformities, sports related injuries, wound care and limb salvage, and preventative care for patients of all ages. Dr. Vetti has primary privileges at Bon Secours St. Francis Medical Center, and also sees patients at St. Mary’s Hospital, Memorial Regional Medical Center, and Community Hospital. In his free time, Dr. Vetti enjoys serving his community as a Boy Scout Commissioner with the Heart of Virginia Council, being involved with the Virginia Podiatric Medical Association, hiking, history, reading, whitewater rafting, travel, and trying new recipes. 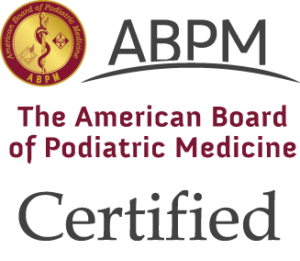 Dr. Vetti is a Diplomate of the American Board of Podiatric Medicine and an Associate of the American College of Foot and Ankle Surgeons.